TheBloomOutlet.com | What does the word “orchid” mean to you? It is a flower, yes, but what kind of flowers? What do you know about Orchid? What do you know about Orchid flower Singapore? We enjoy the beauty of this flower. Orchid is indeed one of the most beautiful flowers in this world. They are adaptable flowers that can grow in various conditions. Orchids also can be found in multiple kinds of places such as mountains, rainforests, desert, and even the swamp environments. This is because they produce seedpods that can be released naturally in the mighty winds and establish a symbiotic relationship with some fungus. Connection with the fungi that can absorb mineral and water by itself is advantaging and make Orchids can survive through the wild nature. Maybe, this is the fact that makes Orchid become the symbol of strength and beauty—they can survive through some conditions beautifully. Many cultures consider Orchids with good meanings and symbolism and Singapore even use Orchids as the symbol of the country, especially the Vanda Miss Joaquim Orchids. Vanda Miss Joaquim is Singapore’s national flower, named after Miss Joaquim who first discovered this flower in her garden in Singapore. Singapore is the first country to have a hybrid species of flowers as the national flower, though. No wonder why Orchids have a more special meaning in the heart of Singaporean. Regarding this fact, many florists in Singapore would love to use Orchids on their flower arrangements, aside from its beauty. Orchid flower delivery Singapore is a perfect choice for your flower bouquet when you want to have a more unique and exotic kind of flower arrangement. There is also a wide variety of Orchids you could choose, based on the colors, shapes, or family. This color symbolizes innocence, purity, and elegance. This color symbolizes grace, femininity, and joy. This color symbolizes friendship and new beginnings. This color symbolizes admiration, royalty, and as a sign of respect. This flower symbolizes enthusiasm, pride, and boldness. 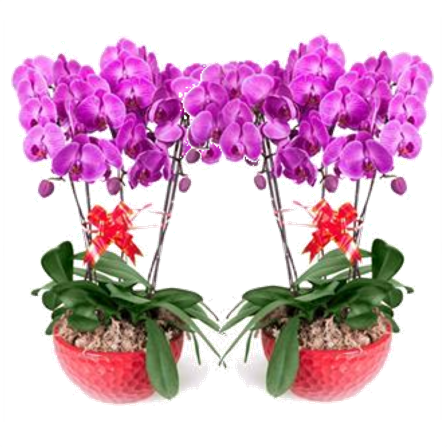 Now if you decide to give Orchid as a gift to your loved one, get your Orchid flower Singapore from a florist Singapore service for the best arrangement.